Vous trouverez des exemples de projets de nos clients et leur chemin vers le succès. Chaque projet a sa propre histoire et sa propre approche ! Nous vous conseillons de vous inspirer de cette croissance ! The client had an idea to support young African artists by creating a website, where the artists would be able to upload and popularize their tracks and videos at a profit. The website was intended to allow users to listen to the music, view videos and download them within the Pay per Go system. 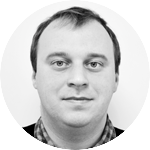 Initially, a webmaster of Superior Air company registered the site in the Semalt system due to his interest in web analytics and ranking monitoring. Our service allows examining analytic information retrieved from clients’ websites as well as from web sources of their competitors based on defined set of keywords within free and paid analytics package. This service evoked webmaster’s interest as there were many aviation companies in Greece that arrange charter flights. Our support manager contacted the client in order to explain how our service works and what Semalt functions could provide additional benefits. After the subject had been analyzed, it became clear that many rankings of www.superior-air.gr were ahead of competing web sources. It was important for the client to improve positions of the website in SERP as soon as possible because summer vacation season was coming — the period of time, which is the most profitable for the company. Personal Support manager explained that we could help to achieve the best possible results in 2 to 3 months within a FullSEO package. energyces.com -- the official website of the Custom Energy Solutions company, specialized in consulting small and medium enterprises on cutting down energy expenses in the city of Edison, NJ, USA. After several laws prohibiting utility companies’ monopoly were approved in the USA, the competition in the energy supply field has grown. The strife for consumers accelerated the appearance of many private companies, which provide custom energy solutions for business. Because gas and electricity bills from various suppliers turned out to be very costly for the consumers, they realized the importance of finding ways to save on the energy consumption and the need for energy-saving consultants like energyces.com. Personalshoppermadrid.pro is a website providing image services in Madrid. Image consulting services appeared not so long ago, but with the development of fashion trends have already become popular in Spain. Personal Shopper Madrid is a young creative team ready to provide quality services for customers whose schedule does not allow them to spend a lot of time for shopping. As the main calling card of the company is its website, the management has decided to improve its visibility in Google for potential clients. 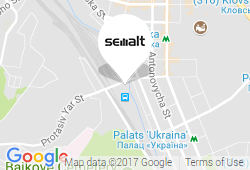 — Semalt has become the one stop solution for us for all our SEO related needs. As a small business organization we did not find a trusted SEO company which could help us achieve our goals in a tight budget. We did waste a lot of money here and there but all our troubles came to end after I had used the SEO services from Semalt. We started with AutoSEO which worked really well and within 2 months we upgraded to FullSEO. Now with the help of SEMALT we as a small business are able to compete with big market players. All credit goes to SEMALT. They provide the perfect balance between affordability and uncompromised quality that aims to bring their customers the results they expect and even more. Ne vous-privez plus de manuels pratiques et de cas intéressants ! Inscrivez-vous maintenant et restez au cœur des évènements !